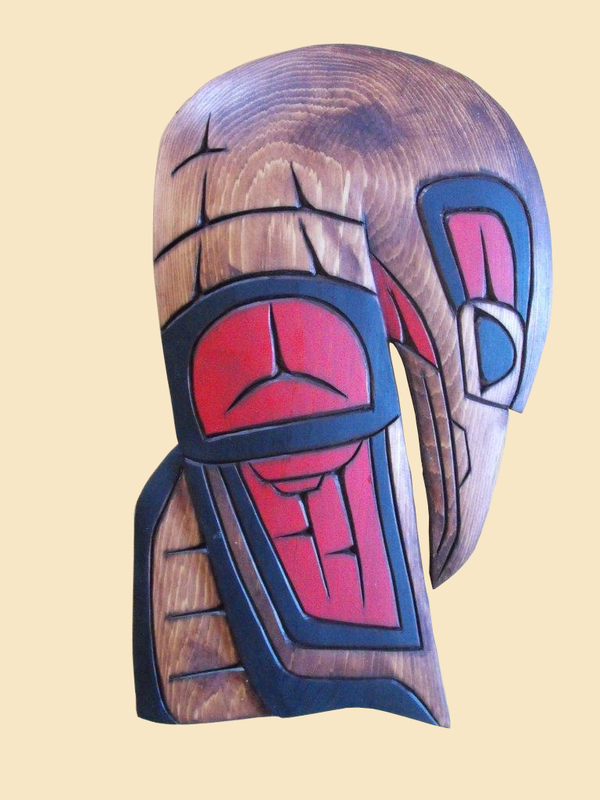 This carving depicts the raven looking downwards. This design is common for stories dealing with Raven. Firstly, when Raven freed the light of the universe, the light was so bright that it blinded Raven causing Raven to lower his head. Secondly, In most northwest coast stories Raven is often embarrassed in front of other animals when his clever schemes go wrong.